A player of the week will be awarded all season long. 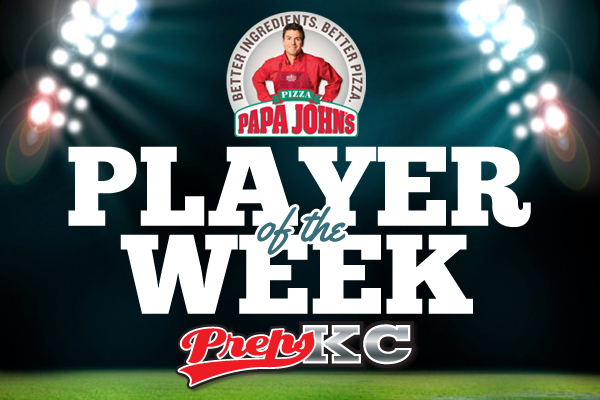 At the end of the season a Papa John’s Player of the Year will be selected from the weekly winners. Each winner’s program will receive a $250 donation from Papa John’s and a pizza party for the entire team. The Jaguars senior had eight catches for 236 yards and three touchdowns to lead his team to a 38-19 win over Blue Valley Northwest. The Yellowjackets signal caller had a near perfect night going 7 for 8 good for 240 yards and four TDs.